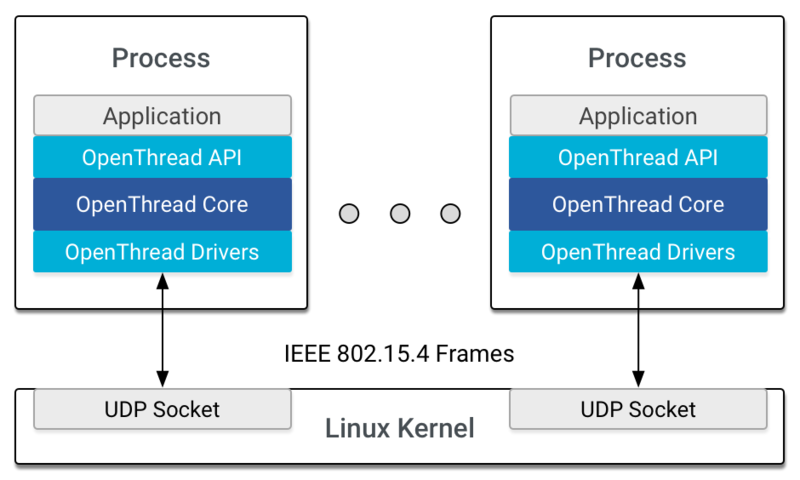 OpenThread includes example platform drivers that emulate OpenThread devices using POSIX processes. This is useful for simulating and testing OpenThread networks without the need for hardware. POSIX emulation is also utilized by OpenThread's Continuous Integration. POSIX emulation creates one process per device, using the IEEE 802.15.4 radio driver on top of UDP sockets. Emulation is supported by both Windows 10 and Unix-based systems.